The nubia M2, M2 Lite & N1 Lite Smartphones Revealed! 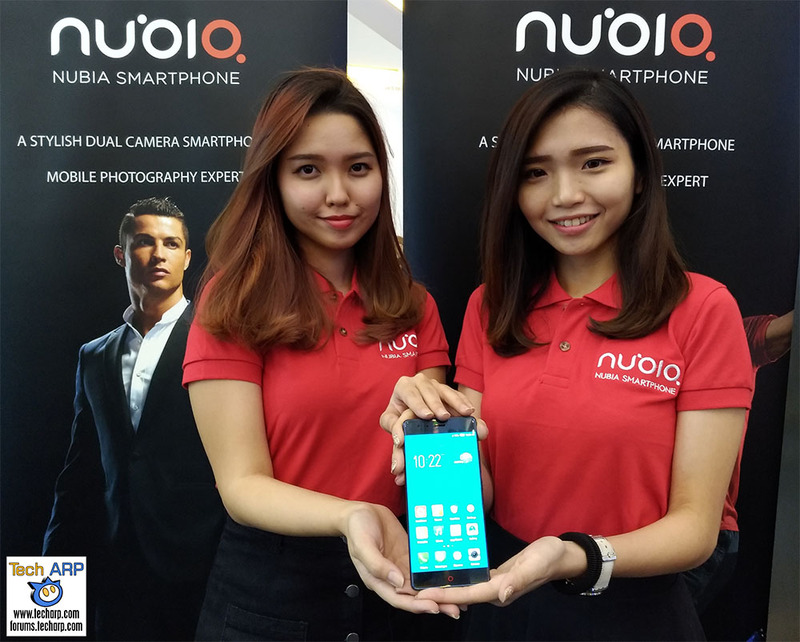 On 19 June 2017, nubia officially entered the Malaysian market with three of their latest smartphones – the nubia M2, nubia M2 Lite and nubia N1 Lite. Take a look at the origin of the nubia brand of smartphones, and find out these three smartphones offer! nubia is actually a ZTE brand that was established in 2012. Erik Meng, the nubia ASEAN regional director explains their origin, and the meaning of the name nubia, and their technological milestones so far. In this video, CP Chow, Senior Channel Manager of nubia Malaysia, presents the key features of the nubia M2, M2 Lite and N1 Lite smartphones. The nubia M2 (Lowest price) was designed using the nubiArc design concept. It has a slim metal unibody that is polished and sand-blasted, undergoing a 72-step process to create a soft texture. It is also the first nubia smartphone to offer dual main cameras, with a 13 MP colour sensor and a 13 MP monochrome sensor. Both cameras are protected by sapphire glass, and come with f/2.2 lenses. Their images are processed by an image engine that consists of a DOF (depth of field) calculator and a dual-core image signal processor. The cameras also support PDAF, allowing for very fast focusing (0.1 seconds). The primary colour camera also supports 3D noise reduction, which reduces noise in low-light conditions. The monochrome sensor increases light input, allowing for brighter and clearer night shots. They are supported by a dual LED real-tone flash. The nubia M2 (Lowest price) smartphone boasts a 5.5″ Super AMOLED display, and a full HD resolution of 1080 x 1920 pixels. It is protected by Corning Gorilla Glass, with a 2.5D edge. It is powered by the Qualcomm Snapdragon 625, and comes with 4 GB of RAM and 64 GB of internal storage. It packs a 3,630 mAh battery which supports 18 W fast-charging technology. The nubia M2 (Lowest price) also features a fast fingerprint sensor, and support for DTS HEADPHONE:X, as well as a hybrid SIM tray. The nubia M2 Lite (Lowest price) is a less-capable version of the nubia M2. It is still a 5.5″ smartphone, but it only has an IPS display with a resolution of 720 x 1280, without Gorilla Glass protection. The M2 Lite (Lowest price) is powered by an octa-core MediaTek Helio P10 SoC, and comes with 4 GB of RAM and 32 GB of internal storage. It has a 3,000 mAh battery that supports 10 W charging. Instead of a dual camera system, it has a single 13 MP primary camera (f/2.2 lens), and a 16 MP selfie camera (f/2.0 lens). It also has a fast fingerprint sensor. The nubia N1 Lite (Lowest price) is also their entry-level smartphone, with a 5.5″ IPS display (720 x 1280). It is powered by the quad-core MediaTek MT6737, and comes with 2 GB of RAM and 16 GB of internal storage. The N1 Lite (Lowest price) has an 8 MP rear camera with f/2.0 lens and dual LED flash, and a 5 MP front camera with f/2.8 lens and a soft light flash. It has dual SIM capability, and packs a 3,000 mAh battery. It also has a fingerprint sensor, but this is located at the back. The nubia M2 (Lowest price) is available in Black Gold and Champagne Gold colours, with a retail price of RM 1,699 / ~US$ 399. The nubia M2 Lite (Lowest price) is available in Black Gold and Champagne Gold colours as well, with a retail price of RM 1,099 / ~US$ 259. The nubia N1 Lite (Lowest price) is only available in the Black Gold colour, with a retail price of just RM 599 / ~US$ 139. Limited quantities of the nubia Z11 (Lowest price), powered by the Qualcomm Snapdragon 820, with 6 GB RAM and 64 GB storage, will be available for sale at RM 1,899 / ~US$ 449. Next : The Digi Freedom to Internet Offers Explained!